You can view a photo how many times you want on the monitor or worse, on your smartphone’s display. But it will always be a more of a preview, where the full potential and beauty of the picture will never appear. Only when a photo is printed and also framed eventually, it suddenly starts to exist and you can enjoy the full depth of the captured motive. Therefore I offer here my printed photos, so you can decorate the premises of your apartment, house or office. In these times of certain overflow of material objects of all kinds, there also increases the popularity of prints as beautiful gifts. Photos can be printed in different sizes. Dimensions not listed in the table below will be calculated according to the nearest dimensions. 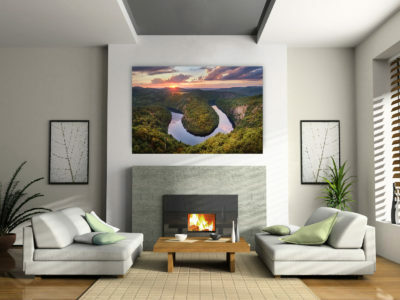 Printing is done on either glossy or matt photo paper, which can be completed with a frame (or even a passe-partout), or on a popular KAPA board with a lamination that ensures color durability for decades. The KAPA board can be (and especially for larger sizes must be) completed with a frame. Of course, other individual solutions are also possible. Each piece receives its own number and a certificate of authenticity signed by the author. Once this quantity has been reached, prints are discarded from selling. The prices of individual photos will increase according to the number of pieces sold – the less prints there will be remaining for sale, the higher the price. Whoever buys on time can therefore save tens and hundereds of USD / EUR. Especially in large format, they are considered to be collectible pieces with the potential to grow in value when I become a famous photographer (at the latest after my death) :-). 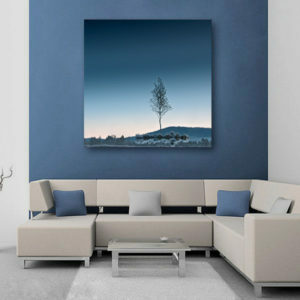 1-7 pcs of 90×60 (or near size) prints will always be printed as “artist’s proof”, which are usually the first prints of a serie, printed in the presence of the author and personally inspected to verify print quality. In practice it doesn’t differ from other prints from the limited edition, but they are by principle considered special pieces, which are sold only after selling out all the prints from the limited edition. In case of ordering multiple pieces, a quantity discount is possible, according to the size of the order. Prints don’t have any general price, as their values and uniqueness vary from piece to piece. Some of them, which capture places and situations which are quite ordinary and there’s simply more of such photos around, I appreciate by a lower price, while others that are more or less unique (for example, the Project Rover) I rate higher. The prices listed below are therefore indicative and represent only the thresholds for the lowest and highest prices. I calculate the price of a specific photo based on your request (see the Inquiry form below). The prices don’t include shipping and packing costs, which vary between 25 – 45 € / $, depending on the target country and dimensions of a print. For orders from abroad, the VAT is not applied.